PUBLIC RELATIONS From getting basic press releases in widespread circulation and managing front page editorial coverage for your event or products to fanning the flames of grass roots social networking excitement, we develop communications plans that exceed expectations. Our team has rich journalistic experience and a wide stable of business contacts, which we leverage to get people talking about your brand. Integrated with our media planning and advertising services, our social networking, referral marketing, promotions planning, eblasts and strategic partnership management can bring long-term, sustainable results to your agricultural or equine-related brand. 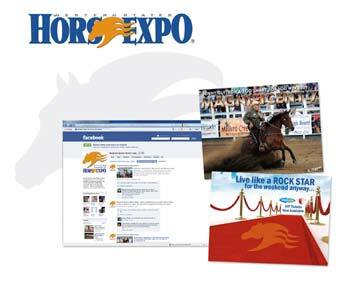 Challenge: Western States Horse Expo, the largest horse expo in the United States, wanted a cohesive public relations campaign that would garner excitement and ticket sales for their three day event. Solution: Using traditional public relations and social media, HSMG helped position Western States as a destination event with something for every horse lover. Featuring traditional releases and event information as content, we designed an e-newsletter template and produced e-mail blasts that were sent to Horse Expo fans. Using a Facebook contest, fans were encouraged to engage with the Expo by guessing the identity of presenters for a chance to win free tickets to the event. Our coordinated and graceful P.R. approach brought the Expo's brand full circle by engaging and exciting attendees on a year-round basis. 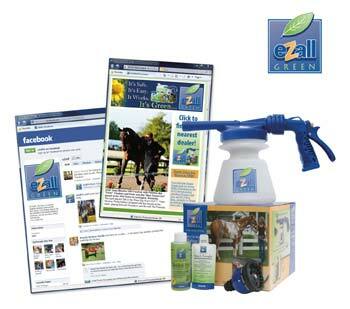 Challenge: Plant-based grooming product eZall wanted to increase brand exposure and product awareness while keeping capital available for an aggressive product re-formulation and re-packaging undertaking. Solution: Emphasizing product usage tips and endorsee updates in press releases, e-newsletters and third party e-mail pushes, we were able to skyrocket eZall's brand recognition on a tight budget. By keeping our feelers out for breaking news on the company's team of endorsees HSMG finishes a monthly messaging package with minimal client input. In addition, HSMG set up a Facebook page for eZall and trained company employees to effectively manage day-to-day updates with confidence, knowing that HSMG would step in to help if they struggled.